I went to the new ear doc to get the results of the vestibular testing, and I felt like I walked into the Twilight Zone. WHAT?? I MIGHT HAVE WHAT? DO YOU KNOW WHO I AM? YOU DON’T REMEMBER ME? YOU DIDN’T LOOK AT MY CHART BEFORE YOU CAME IN THE ROOM? Okay, another reason that whole thing was weird….cochlea function refers to hearing. My cochlea is not going to show up working on any test, I have cochlear implants, I have a device in my head that is coiled around my cochlea that vibrates so I can hear. It doesn’t work on it’s own. And the tests I were given doesn’t even test that. But the numbers he gave me do correspond to the main test that I was given. That was just so weird. About the tests….well he only gave me the numbers for the biggest test they did. The Caloric Stimulation Test. (click on the link if you want to learn about the test) This is used to for damage to the acoustic nerve (hearing and balance) and it test the brain stem. It is the only test that test the ears separately. The numbers he gave me fit right in on this test. 21 is normal. He kind of dismissed the 13, I really didn’t understand that. Of course, the one that is really out of wack is the right ear coming in at only a 4. So, I’m thinking when we get to the point of killing off the balance center we will do the right ear first and see if it straightens things out, or makes it so much better I don’t feel I have to do the left. Now for the big decision, what do I do about this doctor? I really don’t trust him enough now to let him give me a shot in my ear that will kill my balance center. Heck I don’t trust him enough to give me a B-12 shot. What do I do? I can’t find another ear doctor in this whole city that knows anything about Meniere’s except for the other guy I went to who thinks he is a god. He doesn’t listen to his patients…at least not to me, and according to his ratings on-line and on Angie’s list, he doesn’t listen to most people…he didn’t believe I have vertigo as often as I do. Really? Does he think I use a walker just for fun? Ugh…..I hear stories like this from so many people with chronic illnesses, we have such a hard time finding doctors who are compassionate. I’m lucky, most of my doctors are wonderful, but I’m having a heck of a time finding a good ear doctor since we moved. I found an ear clinic I would like to go and check out that is close to 2 hours away from here. I have a list of questions for Stuart to ask them on the phone before I even think about making an appointment. If they treat people like it appears they do on their website, I think this would be a very good place to go. They are very well versed in advanced Meniere’s, and they aren’t afraid to treat it. As you can see, I do believe in being an advocate for myself, but I know when I can’t burn my bridges just yet. I’m also not afraid to fire an incompetent doctor and as soon as I find a new one, I promise this doctor will know why he is being fired and I will write a review on him letting others know what I think. The group does have a good support staff, too bad he is the only one in that group that (supposedly) knows anything about Meniere’s. The Future is Scary, with a side of Hope. It seems appropriate that I’m writing this on the eve of a new year, what better time to look toward the future? For me, contemplating the future is more than a little scary…. let’s just say my anxiety about it has been more than I ever thought was possible. After my illnesses changed my life, I learned about Mindfulness Based Stress Reduction (MBSR), it struck me how it has helped many people in many aspects of life, but mostly I was struck by how much it often helped people who are ill. I had already learned of mindfulness during my studies in Buddhism, and while practicing yoga, but I admit I didn’t practice it regularly. Over the last few years I’ve learned more and more about mindfulness, as I continued to studied Buddhism and MBSR, I’ve worked hard to live my life in the moment. I don’t dwell in the past, (all of that is gone)…. I don’t worry about the future, (that hasn’t been written yet)…I try hard to live in this very moment, because that is all we truly have. Yes, at times I still have moments when I get upset that I can’t do what I used to, and get upset about what might happen…but I don’t dwell on it. Then we started making plans… how we are going to try to make things better for me….decisions about this unknown future, decisions that I have to make. Suddenly, I HAVE to look at the future. I HAVE to think about it. And it really scares me. Suddenly, I’m scared about being like th is forever. I thought I had accepted that and was okay with it. Not that I was giving up, just that I accepted things if they didn’t change. At least that’s what I thought, but actually, I thought I was going to be like this forever, I had come to terms with it, and now, that may change. Now, I suddenly have options….plans. I am having a very hard time not being anxious about the future. I’m even thinking about things from the past. I keep thinking about all that I can’t do now, and how much my life has changed, and I keep wondering, could I get some of that back? The main thing I know is that, I don’t want to lose myself in this quest to get better. I don’t want to be afraid. If I don’t get better, I need to know that’s not the end of the world. I don’t want to start having to accept all of this all over again. Each day I have begun to get more and more upset about things I simply can’t do. As usual, most days all I can do is go from the bed to the chair in the living room. But I tried hard not to let this get to me before. I tried hard to make the most out of every moment…no matter what. I’m trying now….but I am not doing as well as I have been. Then I hear the voice in my head….Be Gentle With Yourself. and I Breathe. I am doing the best I can. Yes, I’m a bit overwhelmed right now. Everything is changing, all of a sudden, it’s going to take me a minute to keep up with it….deep breath….and I must remember, it still has to happen one moment at a time. Okay, let’s move on from this and let’s talk about what the plan for my future is right now. I was going to write a post right after my visit with the new ear doctor here in town, but I decided to wait until after the tests and the results. I was supposed to get those yesterday, but I had to reschedule my appointment, guess who was too sick to go? Surprised? 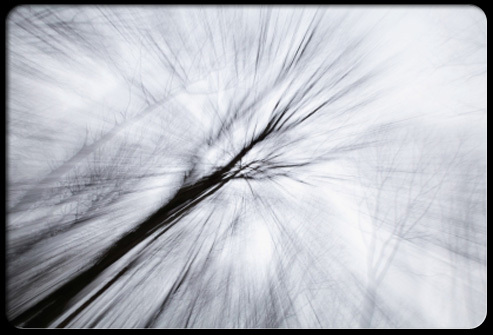 I’m not….I have cancelled so many appointments because of vertigo, you just can’t imagine. So, I’ll give you a break down of what is going on as of now….. I saw the new ear doctor here. So far he seems pretty good, I was impressed with his knowledge about Meniere’s, and he is very willing to work with the doctor from John Hopkins. He suggested I start taking a low dose of Valium twice a day to try to keep my vestibular system calm. He wants me to keep track of how much Sodium I’m eating. (Okay, I laughed at that. I know I don’t intake much sodium but since I haven’t been keeping a record he was not convinced. I have been eating a low sodium diet for years, I know how much sodium is in almost everything, I don’t eat processed foods, and if I eat out I order everything without seasoning….yes I know that is boring, but it is safe with all of my food issues. So I tracked my food since I saw him, I admit I was curious too, the results? I normally consume just under 1000mg a day, I haven’t been over 15o0mg in any given day. They say a low sodium diet is 2000mg a day. I don’t think I have a problem there.) I’m starting vestibular therapy on January 12th, we’re going to start training my eyes and body to balance without my ears. I am to continue working with my headache specialist to get my migraines under control. We will talk more about killing off the balance center after doing all of this and seeing if it helps. Also after seeing the results of the vestibular testing I went through, we want to see if one of my ears is close to being dead already, if so we may go ahead and kill that one off, it may be causing much more trouble than the other. He does think my Meniere’s is definitely autoimmune. 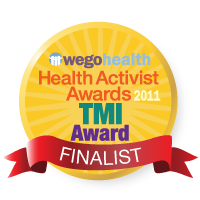 Not that I want an autoimmune disease, but it does explain a lot. Most of my doctors have felt I have symptoms that lead to one, but haven’t been able to put their finger on it. I just have so much going on, and everything gets worse with stress, and gets better with steroids. I often run a fever and no one can find a reason. I have a marker for an auto-immune disease, but the one I have a marker for I do not test positive for….however, that is a red flag that I could have another. They believe they simply do not have a test for the autoimmune disease I have, or I don’t test positive for it. Like a friend of mine, has rheumatoid arthritis, but he always tests negative for it. 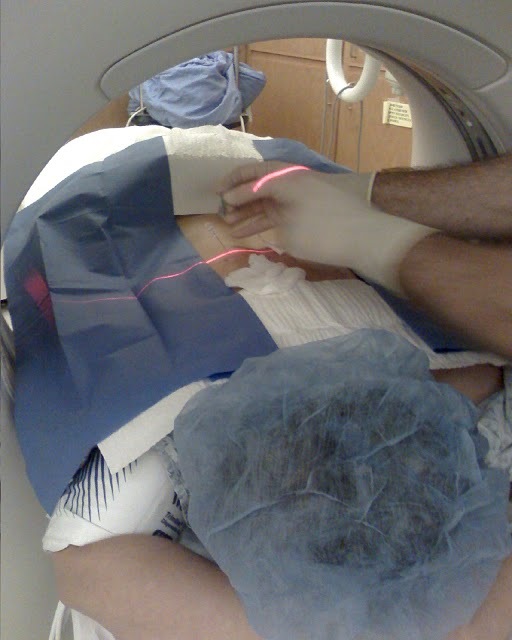 It is visible on all scans and he responds to treatment, but the test for it comes back negative. So, in other words, we can’t prove it, but it is thought that it is an autoimmune disease, at least in my case. So, there is the plan for now. I don’t know what will happen. How it will change. Or anything right now. I feel that there will be a lot of change around the corner. The future is scary, but it holds promise, and hope…..something I haven’t had in a long time. It’s official, I have Avascular Necrosis (or Osteonecrosis) in my left hip. What is this? Let’s look at the word Osteonecrosis, Osteo – bone necrosis – death. You have to remember that your bones are living things. They have a blood supply. When this blood supply is lost, or disrupted, the bone begins to die. That is what is going one with my hip. Particularly, the head of the femur. I’ll tell you more about this condition after I see the doctor on Monday. Right now….I can tell you I have it. Within 2 hours the nurse called Stuart and told him that my doctor was out of the office, however, she got another doctor to look at my CT scan and yes I have Avascular Necrosis. She also moved my appointment date up from March 24th, to March 2nd. At this point I don’t know what stage I’m in, but I do know it hurts, a lot…..more than I care to admit. There are treatments that they do try when you are in the earlier stages but, it is a very small chance that you won’t end up having to have a hip replacement. The earlier treatments are kind of like a stop-gap. They help for a while, but most of the time it comes back. It sounds to me like end up doing a hip replacement most of the time. The amount of pain I’m in tells me I may be a little bit further along than we thought, so I may not have to even worry about thinking about all of that. My doctor didn’t sound like he was very keen on putting people though unnecessary surgeries, just to end up having a hip replacement anyway. So, I’m looking at a hip replacement. I know it will make me feel better, and I’m very relieved about that. I look forward to discussing everything with my doctor on Monday and making a plan. I won’t lie, I’m very nervous about all of this. I’m afraid of having a hip replacement. I’m afraid of Stuart having no help. I’m afraid of getting this place ready for me to be able to get around in during recovery. I’m afraid that I will get this necrosis in other joints. (since they think my Avascular Necrosis is because of corticosteroid use, it could show up in a different joint, normally the other hip.) I’m afraid of the pain after surgery, I don’t deal with pain medication well, it makes me itch. I’m just scared, OK? I’m trying very hard not to think about the future…succeeding very well aren’t I?? I’ll be seeing the doctor on MONDAY. We will make a plan then. I will have more answers at that time. Me getting all worried and fretting is doing no one any good, especially ME. So what am I going to do for the next few days until I see the doctor? I’m not going to read anything else about Avascular Necrosis, or Hip Replacement Surgery. I’m not going to talk about it….well not much. I’m going to do relaxing things….maybe watch a movie, read some of the book I just got from the library on my Kindle…..ect. Spend some quality time with my husband, something we haven’t done enough of lately. 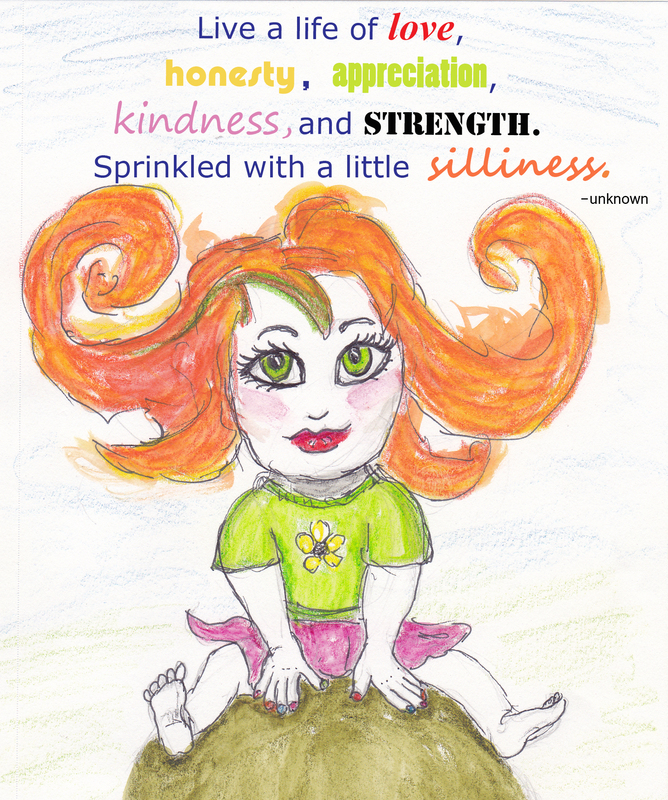 try my best to enjoy myself….laugh! eat good and healthy food. I made up a new recipe, I hope Stuart’s up to trying it out. If there is one thing I’ve learned about me, it’s that I’m pretty darn tough! No matter what, I know I can handle this. Back? Hip? Pain! What is going on…. We may be closer to finding out..
Last Wednesday I saw the spine doctor, and good news, the herniated disc is doing great. So, why am I in so much pain? My physical therapist and spine doctor think it is my hip. So do I. The spine doctor I see is a really good doctor. He has a great bed side manner. I never feel rushed when I’m in there, he makes sure to always look at me when he talks, he explains everything very well, and he is very thorough. He examined me and decided I needed to see the hip doctor again. I told him how I did not have any respect for the last hip doctor I saw, and why. I’m not sure if I mentioned it here, and if I did, it probably bears repeating. The last hip doctor breezed in, did not examine me, and told me that all my problems were from my back. I asked him why then did I have hip problems before I hurt my back? He simply ignored me, and said nothing showed on the CT scan, so good news, I had nothing wrong with my hip, good bye. The spine doctor decided I should see a different hip doctor. One he said he was sure would treat me with much more respect. thank you very much. I will not go to a doctor who does not respect me. Today I had an appointment with the new hip doctor. First I had an x-ray of my back. After all the stuff going on with my back too, he wanted to get a view of it, and looked like no problems there. Yay. Then the doctor’s assistant came in and got a good history and did a good exam. He told me what he suspected and that he wanted to go over everything with the doctor and he would come in soon. I then had to have another hip x-ray to compare to the one I had in September. They suspect I may have necrosis of the hip bone, caused by steroid use. I have been given steroids a lot over the years of my life. Doctors seem to hand them out like candy, they don’t think about the long term effects of what they can do to you. Not once when I have been prescribed steroids have I ever been asked how often I have been prescibed then in the past. Well, they can kill your bones. The bones that have blood in them, it can kill the blood tissue, then the bone will collapse on itself. Pretty gnarly huh? The x-ray that was taken in September had a very round ball socket, the one taken today looked a little bit flatter on the top. It could have been just the angle of the x-ray, or it could be the beginning of Stage II. If you are interested you can read more about the different stages here: Osteonecrosis. Right now it looks like I’d be around Stage II, just starting to show outward signs….maybe. My doctor wants me to send in my information about my cochlear implants to the MRI people there to make sure I can’t have an MRI under any circumstances. They said sometimes they can do something and they can do them. So I’m sending in my information. I’m very wary about this, and think I might just refuse it even if they say it’s alright. If they try this and (even if it doesn’t rip them out of my head) if it damages them, I don’t think it would be covered under my warranty, and I don’t want to have to have unnecessary surgery to replace them. So unless they’ve done this many, many times before, I just don’t think the risks are worth the benefits. I think he will understand that. If I can’t/won’t get the MRI he said I will get another CT (Computerized tomography) scan. CT scans are cross sectional. Normally they are done at a certain width apart, I forgot how wide he said, he will order my new one to be done much closer together to try not to miss anything. If you were reading my blog before when I went to the hip doctor and had the hip injection and it didn’t help at all (another reason the original hip doctor said there was nothing wrong with my hip) this doctor said the hip injections often don’t help with this issue. I was very impressed with this doctor and his assistant. He was very behind in his schedule, but I could understand why, and I didn’t mind. He did not make me feel rushed when he was with me, he was very careful to make sure I understood everything. He was great. Also, before he came in to actually see me, I was seen by his assistant, and I had 2 sets of x-rays. I wasn’t just sitting there twiddling my thumbs. I was also impressed that when I got there he had already reviewed my chart and had questions waiting for me and orders for the back x-ray. He walked in and knew all about me before he started talking to me. I love it when a doctor does that! Now for some awfully sweet news. When I walked in this office I was met by 2 of the nurses there that just grabbed me and hugged me. They we so happy to see me and to see me in less pain than I was in the last time I was there. I also had a small vertigo attack last time I was there. I’ve only been there 3 times, and I haven’t been there since October, but these girls remembered me and were so thrilled to see me. I was amazed. I told them I couldn’t believe they remembered me like that. They said, they don’t remember everyone like that, nor do they treat everyone like that…only the nice people. They kept saying how wonderful my spirit is. How nice I was even though I was in so much pain. I just cried. My nurse couldn’t believe I was crying. Just think, I am home alone most of the time, and on the rare occasion when I go out it is usually to the doctor’s office, I’m amazed I could touch a person’s life like that, in the little amount of time I see people. We never know just how we may touch another person’s life. So watch what you say, and always try to be the best person you can be. On a day when you feel scared and a bit down, you just might run into a couple of people who grab you and hug you and tell you how special you are because you are who you are, and you just make them feel special because of that. It was an amazing feeling! This week is not a full as last week, but I still have many GRATITUDES. After weeks of waking up every night a 4am with a very severe pain in my head and neck last night I slept with a soft cervical collar on, it helped. I still woke up in pain, but I got a lot more sleep, and when I woke up the pain was much less severe. However, I did snore all night, and the collar does take some getting use to. 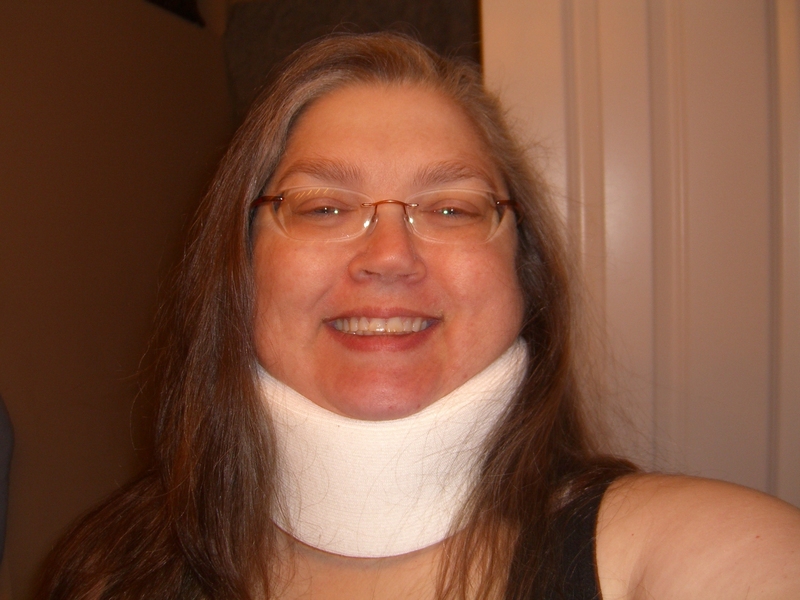 But I am so VERY GRATEFUL for a soft cervical collar, and more sleep! I’m grateful that I was able to make it out to TWO appointments this week two days in a row! First to the Pain Clinic and next to the Neuro-Opthomologist. That is a big accomplishment. I didn’t really think about it, I just knew I had to do it, but Stuart pointed out how proud he was of me. I don’t think of it as being proud of me, I get upset when I can’t do it, but I need to realize, this is wonderful! When we started to leave for the neuro-opthomologist appointment I felt like I was starting to have vertigo, but I couldn’t cancel this appointment, it took me over 3 months to get in to see this doctor! I was scared, but I took some medication, turned the air conditioner on me full blast, and made a go for it. It was a grueling day, filled with hours of tests. I’m grateful that everything turned out fine. No problems with my eyesight, except that I need new glasses! 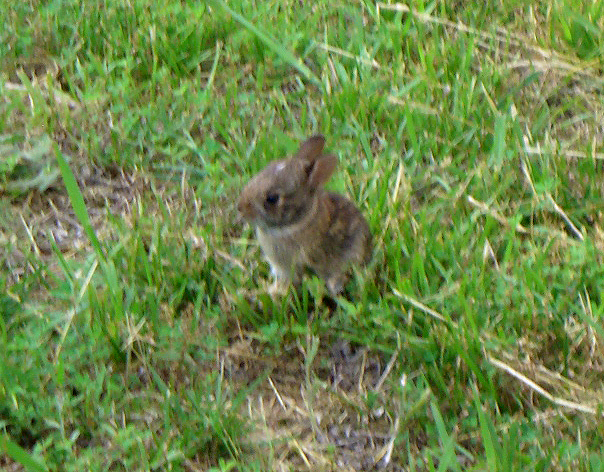 I’m grateful that the bunnies have grown up enough to leave the nest. We are officially empty nesters! Stuart was a little sad. The first night he was very worried, he kept saying, “I hope they are alright.” Such a sweet foster bunny dad. I’m grateful for my friends. I’ve lost many along the way over the past few years, things happen, life moves on. The friends who are still active in my life are the kind you have for a life time. My new friends are so precious, I hope you know how much you mean to me. My dear friends, I am so very grateful for each and every one of you. I’m grateful for books. For the library, for my Kindle, for any way that I can get free books that I actually want to read! Recently I’ve been reading a lot more about my gut issues. I’m grateful that I think I found a book that is going to help me with my restrictive diet dealing with my fructose malabsorption. I’m reading about ways to handle chronic pain using Mindfulness Based Stress Reduction, I think this could also help me during a vertigo attack. I already use some of these techniques, and it does help quite a bit. I’m reading a lot about Buddhism, all about the different types and how they are different from one another. I’m reading about minimalism, trying to reduce things in my life. I’m reading about art and photography. I’m reading a mystery, some science fiction….. I read to relax, and I read to learn. I just love to read. So my friends these are some of the things I’m grateful for this week. 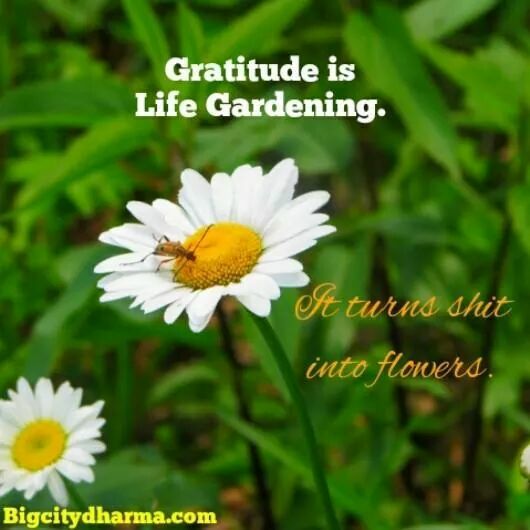 Share with me, what are some of the things you are grateful for???? I haven’t talked much about my headaches in a long time. I wrote a post about 10 weeks ago about my last Botox treatment for my migraines. I was thrilled at how well this treatment had been working. I SPOKE TOO SOON. After the treatment I started having migraines that did not stop. I had a month-long migraine. After calling my doctor I was prescribed a short course of high dose steroids, this helped the migraines, but ended in a horrendous Vertigo attack, that caused me to be put on a month-long course of low dose steroids. Through out the month I was still having headaches. The break in headaches during the short course of high dose steroids didn’t last long. I have been having not only migraines, but a lot of different kinds of head pain. The one headache my doctor agrees I’m not having is Rebound Headaches. also know as Medication Overuse Headaches. There are certain medications that you take on a regular basis that cause you to have rebound headaches, I do not take most of these medications, and the ones I do take I do not take on a regular basis. I am extremely cautious about this. I am very afraid of getting rebound headaches. For weeks, months now, I have been having severe pain. It wakes me up at night, screaming, often yelling NO, NO, NO….with tears running down my face. I’ve been studying Mindfulness Based Stress Reduction to help with chronic pain and this has helped, but I can’t control the pain when I’m asleep. I dream about being in pain. I’m nauseous. I wake up so exhausted and I have no idea how to stop this pain. There have been two different types of headaches I’ve been getting that are different from the migraines. One is a sharp pain that feels like a poker stabbing me in the eye, my eye waters and I can’t open it all the way. It’s only on one side. It is the most intense pain I’ve ever felt. I have a much greater appreciation for the song Maxwell’s Silver Hammer by the Beetles, however I wish he would make sure I was dead at the time. (this is only the pain talking) I can only rock back and forth and pull my hair, I scream….it came at the same time each day for 5 days, it would last for about an hour or so, stop then return in about an hour…this would have for 4-5 times each day. Then they stopped, for 5 days, and started again, for 3 more days. To date, they haven’t come back so far…..Yesterday I was seen at Duke’s Pain Clinic, I saw my Neurologist’s (who is a Headache and Facial Pain Specialist) Nurse Practitioner, since this was an emergency appointment. I now have a new diagnosis. CLUSTER HEADACHES. Cluster Headaches (have been called suicide headaches) occur in cyclical patterns or clusters, which gives the condition its name. Cluster headache is one of the most painful types of headache. Here’s a link to find out more about them at the Mayo Clinic site. Cluster Headaches via Mayo Clinic There are many other good resources on the internet too. Cluster headaches can go away for weeks, months, even years. They often return with seasons. I hope mine never return. If they do, I know they will end, and that will get me through it. I’m also experiencing a lot of pain in my neck, this pain also comes on while I’m sleeping. It rarely happens when I’m awake. It does cause some of my muscles to tighten, but the main pain does not feel muscular. I must have a CT scan to try to find out more information. This pain started after the Walmart expedition. When I was in the car I was not in a very good position, my head and neck were at an odd angle. I don’t know, but I think this may have attributed to this pain. So every night at 4 am I wake up in pain. EVERY NIGHT. I try to help it, change position, meditate, massage, anything…. and it will feel better, I will go back to sleep, and about 15 – 20 minutes later I’m awake again…..OH it hurts! and we start again….it goes like this until I give up. I try so hard not to wake Stuart. No need for both of us to lose sleep. I’m exhausted. Sleep deprived. Some days I can nap a little. Sometimes during these naps I will wake up screaming. It is terrifying to wake up screaming and crying. 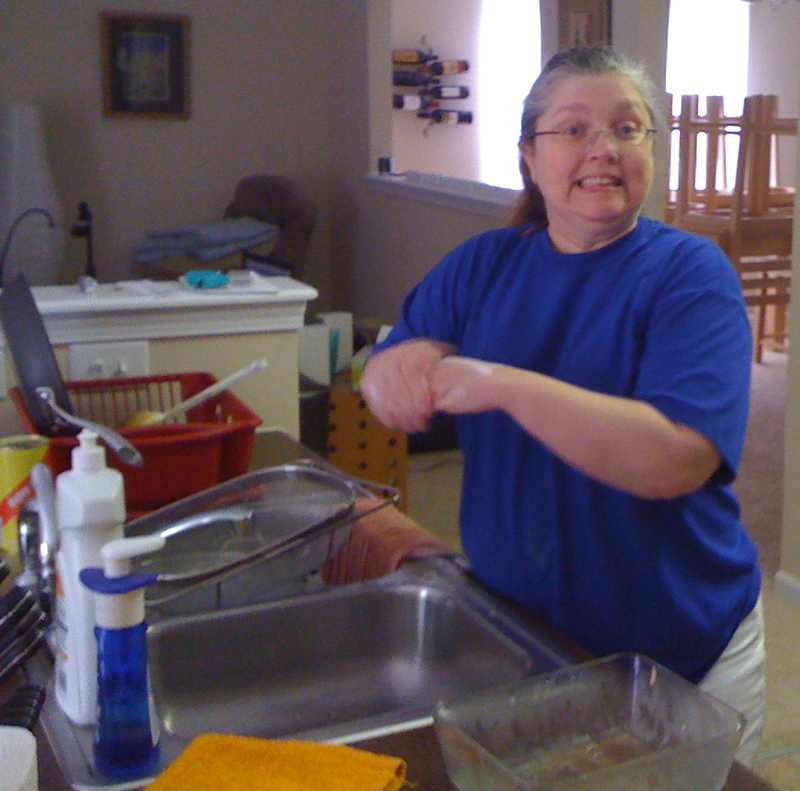 I know my husband is so frightened for me. I hope the CT scan will give us some answers. I also hope it is something that can be easily fixed. Why suddenly am I having headaches that wake me up with so much pain? Why am I having headaches that are so different from headaches I’ve had before? We don’t know. There is no known reason why Cluster Headaches start, some studies suggest certain things, but there are no conclusive answers. My other headaches? We are working on finding that out. My CT scan is schedule for June 16th, and my return visit to the Pain Clinic is on the 19th. Hopefully, I’ll have some news then. How I’m going to sleep until then, that is a mystery……but one I’m sure I will unravel. I know, I got my processors on Halloween, and I’m just now writing. What took me so long??? I wanted a picture. But I still don’t have one. Sorry. I promise I will soon. Here’s a photo from the Advanced Bionics site. My Naida processor is orange, not white. So far I’m pleased with these, but I have a long way to go with the right ear. Presently everything sounds a bit high-pitched, or underwater. When she first turned it on people sounded like Charlie Brown’s teacher, but I could understand some of the words. I also find that most people sound like they have a very southern accent. People whom I know do not have one, people who may not have ever been in the south! I haven’t really started auditory therapy yet, mostly I’ve just been wearing the new processor every day, trying to get used to how it works, and simply hearing something on the right side. I’ve been VERY tired lately. I know it’s to be expected with the new CI, but exhaustion is a bit much. I’m also having headaches, my headaches have been reduced so much since I’ve been getting the Botox shots for migraines, it’s difficult when I have one every day to the extreme I’ve been having. photo from medicinenet.com balance disorders slide show. The vertigo has been pretty predictable lately, every evening I normally have at least a small attack, and often more than one different times in the day. I’m handling the vertigo well, but it’s so dang annoying, and frankly it’s starting to get a bit boring. When it’s going on all I can do is focus on one spot, often with one eye closed, and tell myself it’s not real, all while keeping my breathing deep and steady….after a while it gets boring. Never thought I’d say that about a vertigo attack, but the attacks I’ve been having recently are not the horrible fast spinning kind that last for hours. Sometimes I do wonder if they would be if I didn’t get the meds in me fast and start this meditation type routine that I’ve come up with. One day last week I had very fast vertigo I couldn’t focus at all, still I calmed myself down. It has helped so much to tell myself, “This is not real. You are not moving, This is not real.” But everyone has different ways to cope, and some may not be able to do this. I know I would not have been able to just a year or so ago. I realized something the other day….I gave up. My husband was talking to me about things that have been going on with me lately and how we needed to talk to the doctor about it and how he wanted me to feel better. He qualified that he knows it will never go away, but it used to be better. I shut down. I actually bothered me to hear he wanted me better. Then I realized it was because I didn’t believe I would get better. Ever. I’ve gotten tired of asking doctors about things and hearing, “I wish there was more we could do”. I didn’t want to hear that again, so I gave up. This sounds odd after hearing how I handle my vertigo so much better, but I don’t believe the vertigo will get better. I used to. I realize now that I’m rambling. Yes, I do that when I’m nervous. I’m still grateful for so much….our life may hold many questions right now, but it’s a mystery…soon to be an adventure, and I’m sure we’ll be happy with how things turn out. We’ll be together, and that’s all that counts. I stretched my neck and put ice on it and it felt much better, my head was also starting to ease some. The pain in my bladder and stomach were a different story. My stomach literally felt like it was being eaten from the inside out. Over production of acid is not a pleasant feeling. I tried to eat a little something to calm the pain down, I took extra medication for my acid reflux, but it takes time to work. I’ve never had it so bad before, I could not touch my stomach without it causing more pain. I would love to have been able to take Maalox, it was always my go-to fix when my stomach was acting like this, but unfortunately I haven’t been able to find Maalox or any medication like it that I can take, they all have something that will cause my fructose malabsorption to attack. I’m happy to report after a couple of days of a pretty bland diet, and extra acid reflux medication, my stomach is once again pain free…..for now. I do try hard to not eat anything that will cause excess acid production, and I don’t think I did eat anything offending before this, however, stress can also cause excess acid production, and the pain from my bladder was causing me much stress. When I first saw the doctor here I was having pain in my bladder and she tested my urine and found nothing, I have an irritable bladder and we decided it was just spasming. So when this pain started I thought it may be the same. Unfortunately, this pain kept getting worse and worse. Every time I moved it hurt. Sitting was very painful, so was walking. I’m sure everyone who’s ever had a UTI will also know that I was having to go more than usual, but couldn’t urinate once I got in the bathroom…and it was very painful. All of this started on Sunday, the 3rd, I had just finished my antibiotics and steroids for the bronchitis 2 days before. I couldn’t believe I had an infection again. I upped my already large amount of water I drink, trying hard to flush things out. By Thursday, the 7th, I was convinced it wasn’t irritable bladder talking, something was wrong. So off to see the doctor again. Unfortunately, the doctor I’ve seen before is out on medical leave. (I hope she is alright, I mentioned before that she had pneumonia last month, so I’m a bit concerned.) I saw another doctor in the office. Not someone I really want to see again I felt like he talked down to me, as if I was not able to understand things. Stuart thinks I’m a bit too sensitive, and maybe I am, but this visit started off wrong (and Stuart later told me that he didn’t have a good feeling about this doctor either). I told the doctor I have profound hearing loss and could not hear him. He raised his voice a little, but didn’t look at me when he was talking, it didn’t help when I did see his mouth as he had a lot of facial hair and I couldn’t see his lips well enough. I had to rely on Stuart to tell me what was going on. He asked if I’d been running a fever, I explained that my normal temperature is 97.4F, and it has been around 99F recently. He said, that’s not a fever, everyone fluctuates. (Then why ask me??) I told him about just finishing antibiotics and just couldn’t believe I had an infection so fast….he says that antibiotics don’t stop you from getting something else….but it was the way he said it, as if what I said was stupid. I never said they did, I am just overwhelmed that I’ve been sick so much recently. I asked him about a medication I have for irritable bladder that is expired and wanted to know if I should get a new prescription….he went into this long tirade about how medicines don’t explode after the expiration date, and how there have been studies that medication that hasn’t been opened is good for years after the expiration date. I was so confused at how he was talking to me….and yes I heard most of that. I told him that I know different chemicals have different half-lives, and I didn’t know the half-life of this medication. Well he just went on and on about how drugs are not food and they don’t just lose it because of the expiration date. He did examine me, but I didn’t feel that he listened to me very much. That’s ok, I talk too much when I’m nervous anyway. He told me my urinalysis was negative, but that could be because I was drinking so much water it caused it to dilute the urine too much. He said I had all the classic symptoms of a Urinary Tract and Bladder infection so he was going to treat me for it. He gave me an antibiotic specifically used to treat this type of infection, and told me if I wasn’t better in 48 hours to call the doctor on call or I could wait until Monday and call him. Yeah, that’s not going to happen if I can help it. I’m feeling better. Not well, but better. On another note….I’m so very proud of myself today!! I took a bath by myself! I even washed my hair! I haven’t taken a bath or washed my hair without Stuart’s help in a very, very long time. I’m thinking over a year. Don’t worry I wasn’t being irresponsible. Stuart was in the house and on alert for my call. He also just couldn’t stay away the whole time and came in to check on me. But I did fine. A little wobbly, but that often happens with temperature changes (cool room, hot water). Or it just happens any time….heck most of the time…so I’m getting pretty used to it and how to handle it. 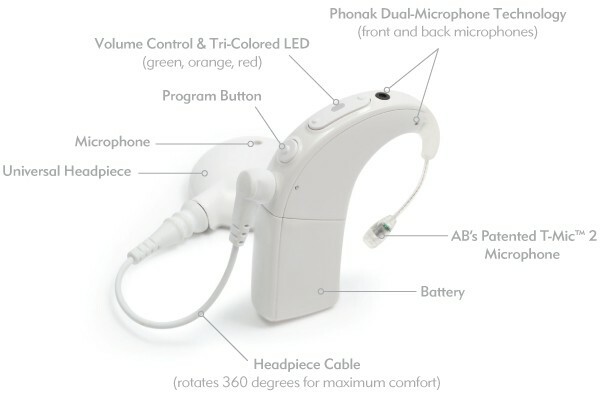 Being extra cautious, have hand holds, non-slip surface under my feet…..
On my hearing tests the word recognition in my left ear was again 0%, and the right ear was 28%. So it’s pretty obvious I don’t understand a lot of what’s being said. On Friday, May 4th, I had the official hearing test to determine if I am a candidate for a Cochlear Implant. Yes! I am!! 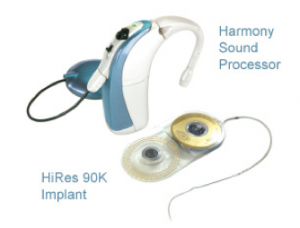 Advanced Bionics – Harmony- Cochlear Implant. Next step. Insurance authorization. It can take 4-6 weeks. During this time I need to decide which device I want (there are 3 available, and each have some pros and cons…so a lot of reading and research). Also, during this time I need to think of any questions I may have, and be prepared to ask them all. However, I understand the surgery, how the cochlear implant works, how I’ll be hearing differently, and most everything I can think of right now. I’m sure questions will arise though. After the insurance approves everything, we just have to schedule the surgery…and it’s go. About 2 weeks after surgery they will turn the device on. I’ve been warned I may not hear much at first. As time goes on my doctor thinks I will hear better and better. If after a few months I feel I’m hearing better out of my left ear than my right, it is a VERY big possibility that by the end of this year I may be getting a second CI. They say if you need 2 it’s better to get them close together if possible. I was told that I am in a good place about all of this, I’ve only recently lost my hearing and people who get CI’s who recently lost their hearing normally do much better. Right now, I’m excited at the possibility of hearing again…but cautious. I know hearing through a CI is not the same as hearing normally. I understand all surgery carries some risk. So naturally I’m cautious. But how would you feel if you were told that in just a couple of months you could go from 0% word recognition, to hearing again. Yes, I know I may not understand everything in the beginning…heck, I may not understand anything….but it will come. I will be able to hear again.